The medical team at Kunming Medical University Hospital in China, in collaboration with the company IEMAI 3D successfully transplants the first clavicle printed in 3D with PEEK. What does this milestone mean for the medical sector? How important is the use of thermoplastic materials? 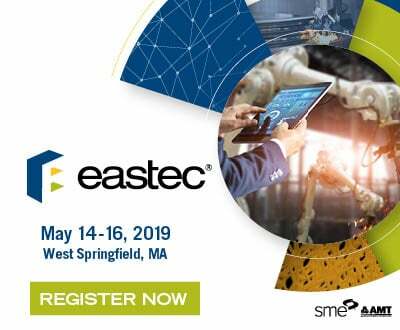 For some months now, there has been a lot of talk about materials such as PEEK, ULTEM or the family of advanced thermoplastics to which they belong. But what makes them so important to the industry? In fact, these materials are widely used with FDM technologies. In turn, this makes it relatively more affordable to manufacture with these materials. Furthermore, these materials offer a resistance close to some metals but at a much lower price. The 3D printed implants are not a novelty in the industry. It has been 10 years since the first 3D printed hip prosthesis was in a patient. More and more studies speak of the benefits of using additive manufacturing in its development. 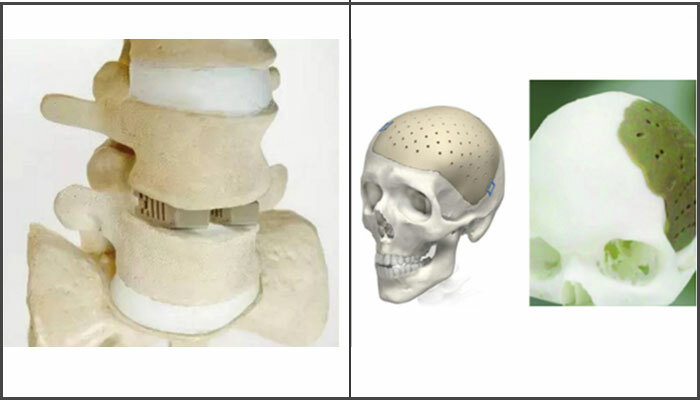 It is thanks to these studies that they have discovered that the use of plastics such as PEEK guarantees faster recovery and better acceptance of the implant from patients. 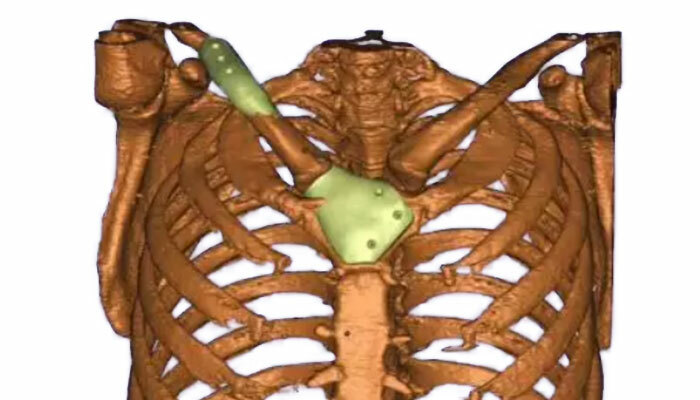 How did they implant the 3D printed collarbone? 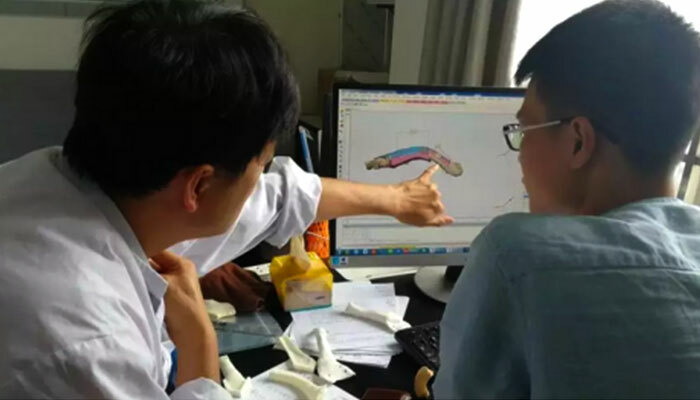 Doctors at Kunming’s First Hospital selected the PEEK thermoplastic material for implantation in a patient. After several tests and different designs by doctors and engineers they reached the final clavicle model. The doctors’ decision to manufacture this prosthesis began due to the specific needs of the patient. A man with advanced cancer could not undergo surgery with a metal implant as it would affect his chemotherapy treatment. The procedure of developing the clavicle was carried out with the 3D printer MAGIC-HT-M, from the Asian company IEMAI 3D. 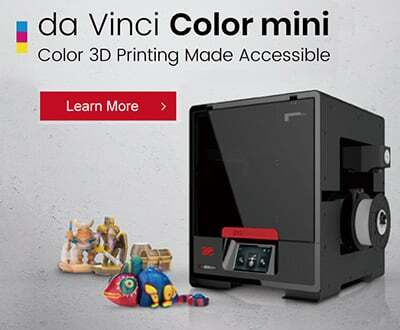 IEMAI 3D specialise in 3D PEEK printers and launched on the European market a few weeks ago. The suppression of metal within 3D prostheses opens the way for many more patients to undergo prosthesis implant surgery, as it will not affect their possible future treatments. This news also opens up a greater interest in thermoplastic materials and the machines capable of manufacturing with them. For more information you can visit the official website of IEMAI 3D HERE. What do you think about having a clavicle 3D printed in PEEK? Let us know in a comment below or on our Facebook and Twitter page! Don’t forget to sign up for our free weekly Newsletter, with all the latest news in 3D printing delivered straight to your inbox!